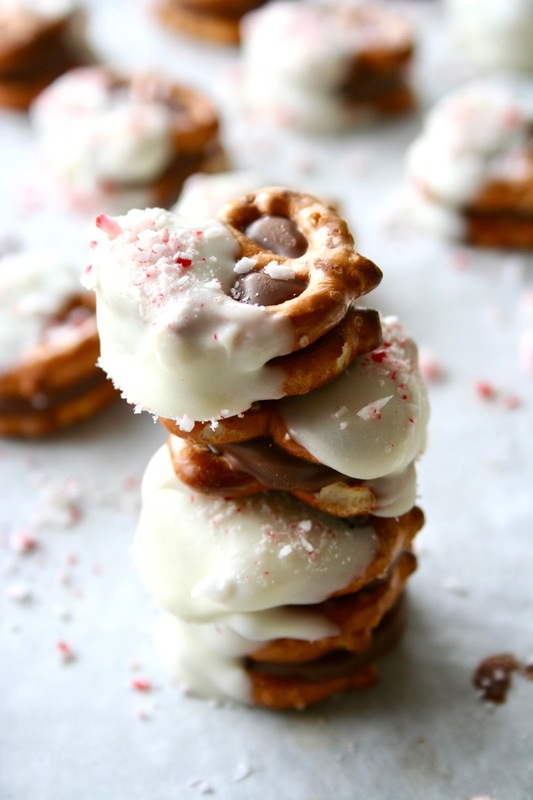 I have been wanting to try something similar to these Rolo pretzel sandwiches for years, but have never got around to it. I've seen so many different varieties, but these ones were too cute to pass up! 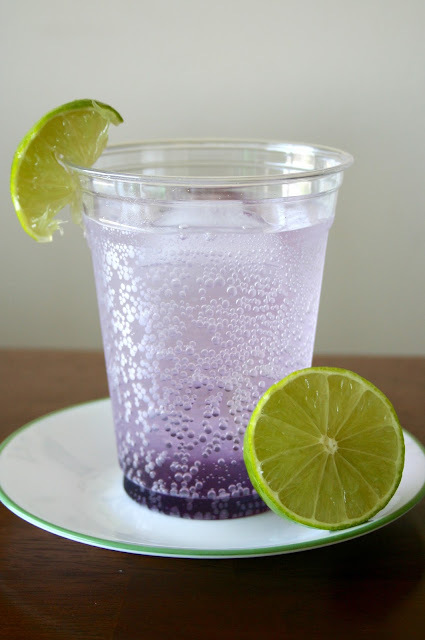 Can we just talk about how easy these are to make, too?? You only need 3 ingredients and 4 if you want to decorate them. And they're so yummy! I decorated most of them with crushed peppermint on top and with Christmas sprinkles on the rest. 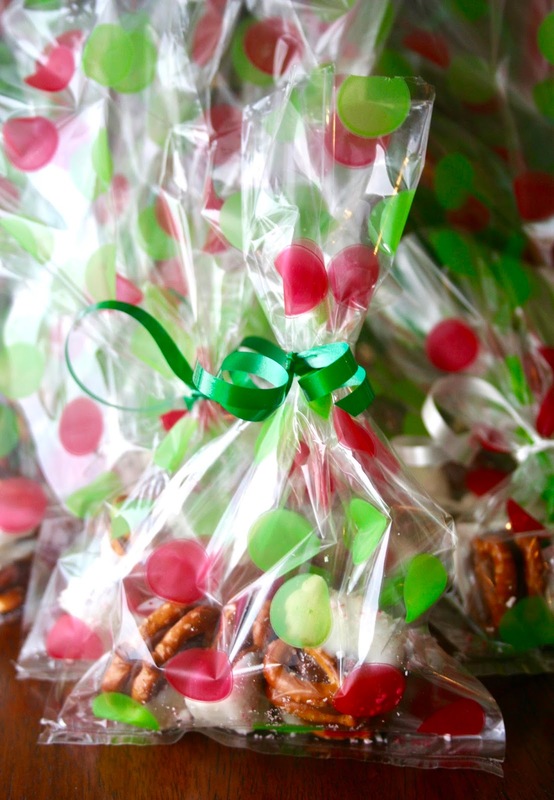 They could be used for any holiday or occasion, but Christmas is definitely a time for treats. 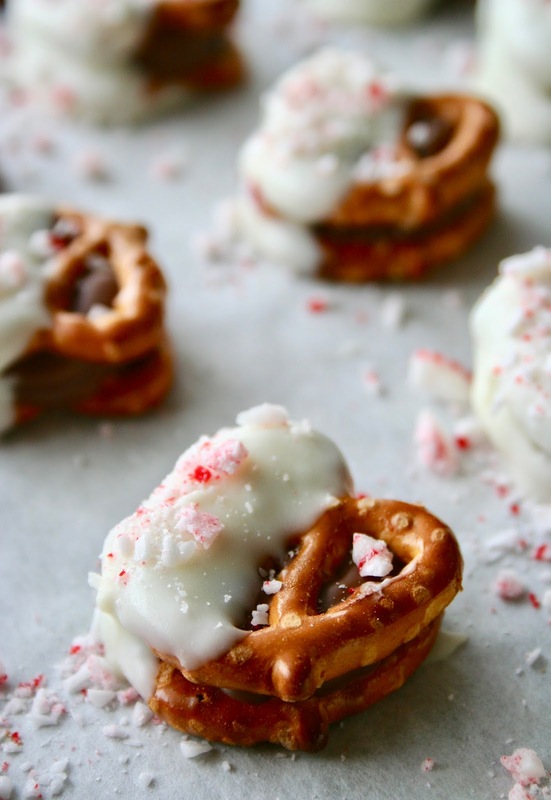 All you do is stack a Rolo on each pretzel, warm in the oven, stack another pretzel on top, wait for them to cool and then dip them in the white chocolate coating. Sprinkle some candy or sprinkles on top and you've got yourself a perfect holiday treat! And they make perfect gifts for neighbors, family and friends! Make your life easier and make these this holiday season. 1. Preheat the oven to 250°F. 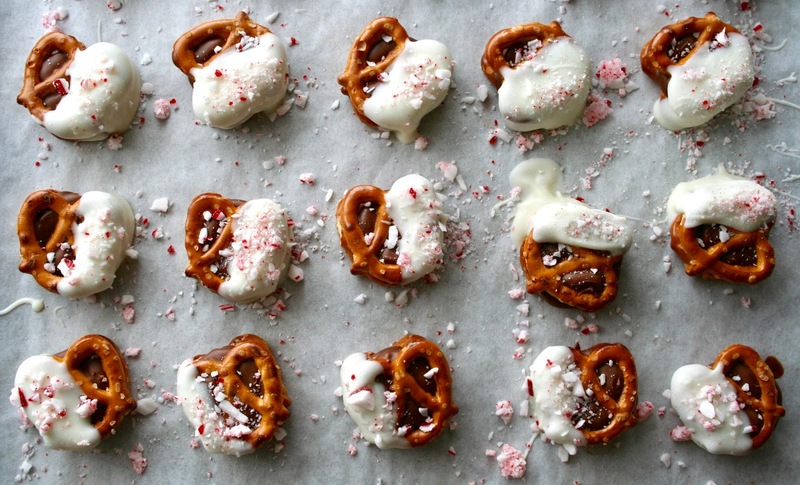 Place 30 of the pretzels on a baking sheet lined with parchment paper or foil. 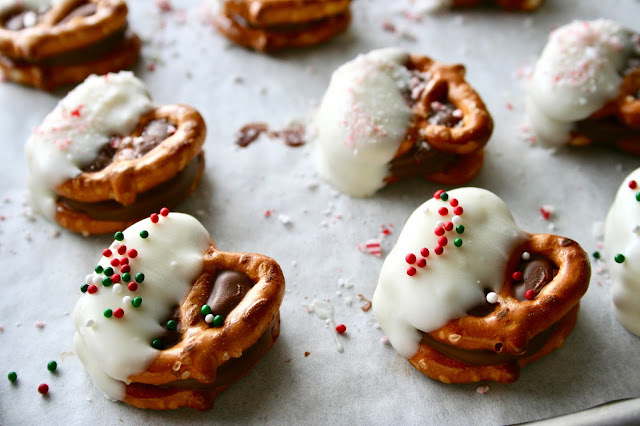 Place one Rolo candy on top of each pretzel. 3. Add the candy coating or melting wafers to a microwave safe bowl and heat according to package directions until melted. 4. Dip one half of each pretzel sandwich into the melted coating. Allow the excess coating to run off, then return to the baking sheet. Sprinkle with peppermint candies or sprinkles. 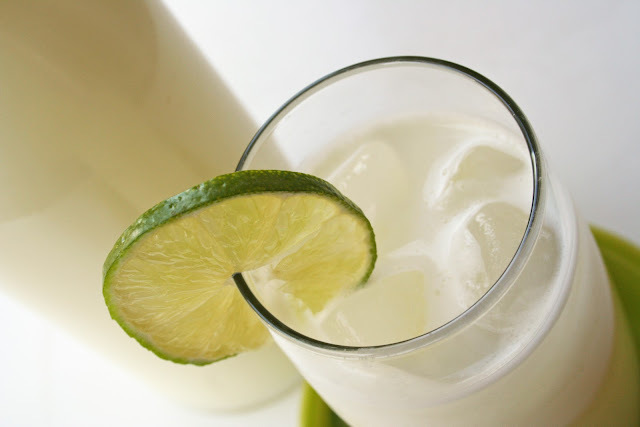 Allow to cool completely before serving.